Better education for Indian women would slash child mortality rates, says UN | Mukti Trust | Sponsor a girl today! India’s mortality rate in children under 5 could be reduced to less than half its current level if all women completed their education, the United Nations has said. Statistics in the report showed that in India from 2005 to 2011 just over half (51%) of women aged over 15 were literate compared with 75% of men. However, 61% of women are predicted to be literate by 2015. Researchers analysed 138 demographic and health surveys from 58 countries and calculated that if all women in low income and lower middle income countries completed secondary education the mortality rate in children under 5 would fall by 49%, saving the lives of three million children every year. And if all women in these countries completed primary education one million lives could be saved each year, cutting the mortality rate by 15%. Analysis of northern India based on the annual health survey and the 2011 census showed that female literacy was strongly linked to child mortality even after taking into account access to reproductive and child health services. The researchers said that an increase in the female literacy rate from 58%, the current average, to 100% would lead to a reduction in the under 5 mortality rate from 81 to 55 deaths per 1000 live births. The report said that a literate mother was 23% more likely to seek support from a skilled birth attendant. It added that educated mothers were more likely to properly purify water, administer rehydration solutions, increase fluids, and continue feeding if their child had diarrhoea. Educated mothers were also found to be less likely to have malnourished children, and the report estimated that stunting would reduce by 26% in low income countries if all mothers had secondary education. The report found that in areas of high malaria transmission the odds of children carrying malaria parasites were 22% lower if their mothers had primary education than if they had no education. Education also saved mothers’ lives, the report said, as educated pregnant women were more likely to react to symptoms such as bleeding and ensure that they had a skilled birth attendant. They were also less likely to give birth as teenagers and had fewer babies. The report urged policy makers to broaden their focus to consider the important role education played in improving health, and it noted that being educated also affected general health. It said that in India people with schooling up to the lower secondary level were more than twice as likely to know that mosquitoes transmit malaria. And in south and west Asia 81% of literate women knew that HIV was not spread by sharing food compared with 57% of illiterate women. 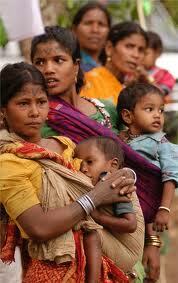 No Comments to "Better education for Indian women would slash child mortality rates, says UN"